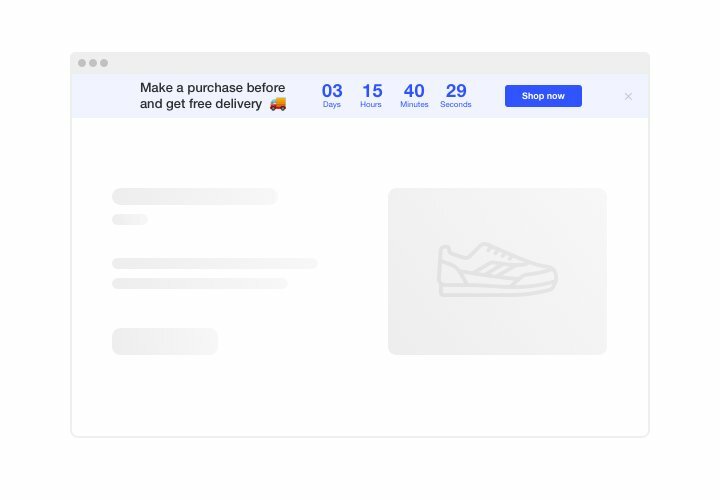 Use Elfsight Countdown Timer to construct different counts and timers, which will inspire clients to buy. 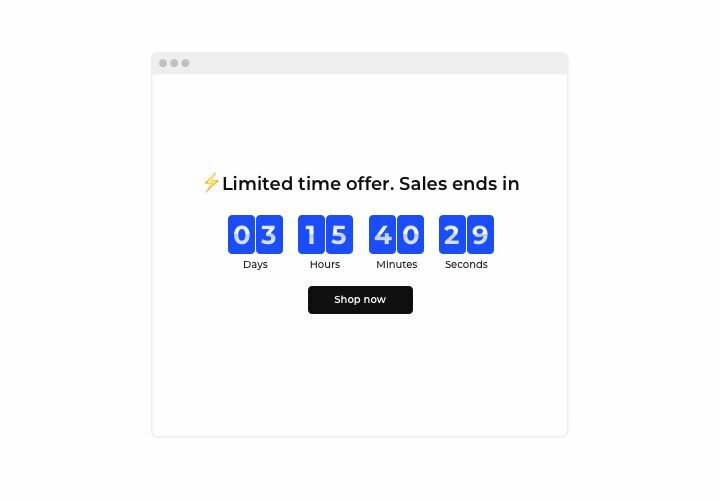 Stock or sales count will build a sense of limited availability and competition among your website visitors; sale countdown will push shoppers to purchase faster not to miss out a profitable deal. 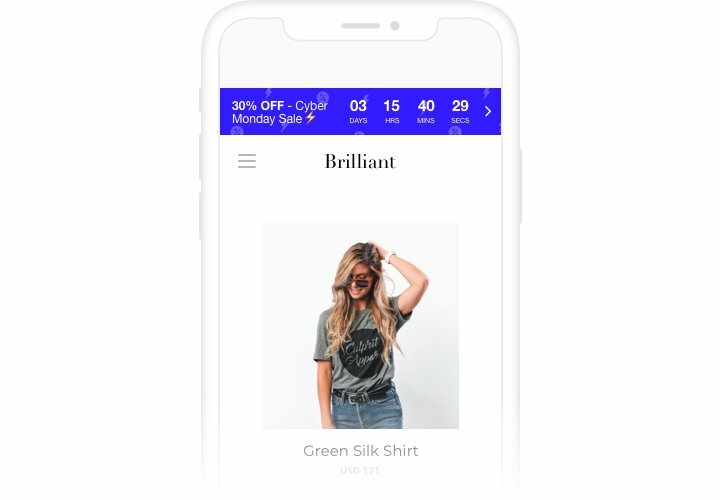 An individual countdown will stimulate each customer to use a personal offer quicker; sale banners with special holiday themes will draw maximum attention. Create shopping buzz and stimulate clients to buy more actively. Push clients to shop by creating a feeling of urgency. 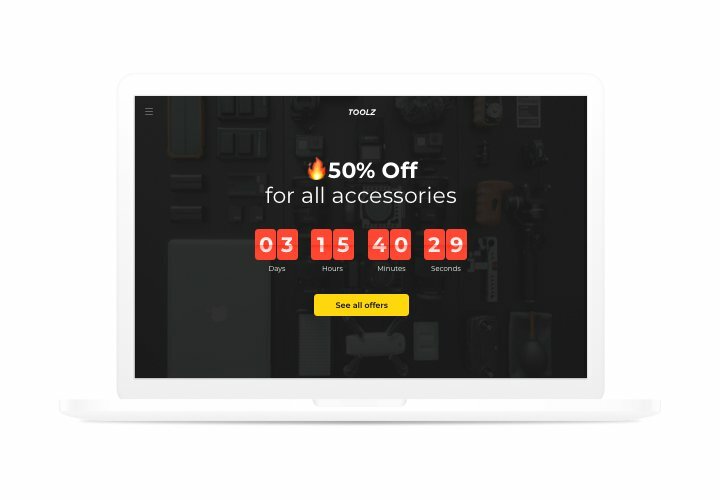 Set up countdown timers which will show time left to the end of your sales and special deals. They will create a sense of urgency and stimulate clients to make a buying decision quicker. 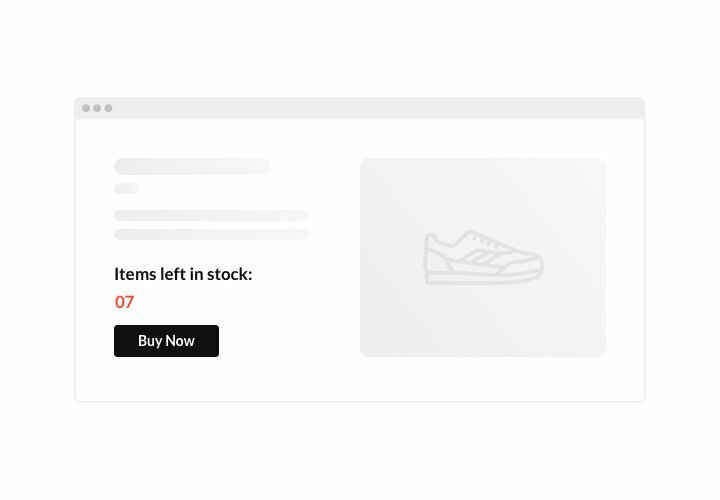 Show that the stock of your items is decreasing quickly, and make users eager to buy. Create a stock count that will demonstrate limited availability of your goods and make them enticing for visitors. They value the items higher and want to buy them too. Attract more attention to a sale period via an eye-catching holiday-style countdown bar. 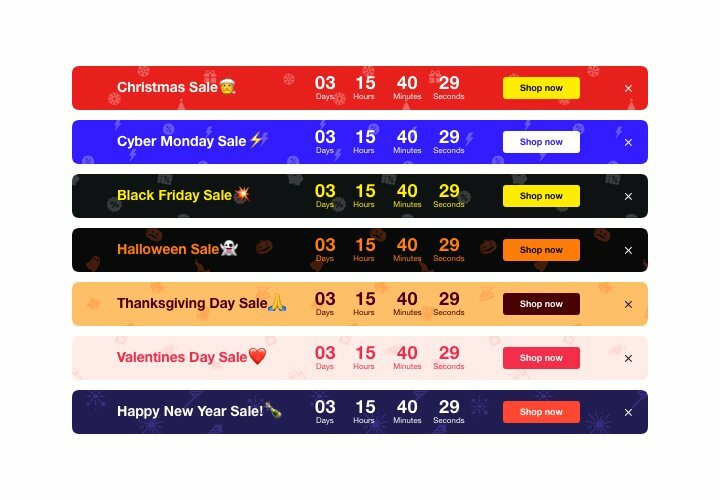 Via attractive theme bars, you can demonstrate your seasonal offers and sales. Use holiday time to the fullest to level up sales on your site. A complete duration of the process is just 2 min., and what’s more, it doesn’t require competence in web development. Choose the widget at Wix marketplace. Choose the page with Countdown Timer and click «Add to Site» button. Place the widget on the site. In the appeared window, go to «Open Editor», and insert the widget on any page. Set desired parameters of the interface and content. Apply all the changes. Visit Wix site, to view your Countdown Timer! If you experience any queries, while installing or shaping the plugin, study a comprehensive instruction on configuring of plugin to Wix or contact our Support Center. Shape your Countdown app right here!